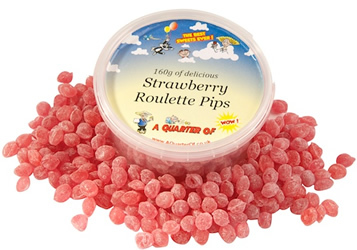 Strawberry Roulette Pips What? We thought this might be a bit of fun...and tasty too. A Win-Win if ever there was one. So what's it all about? 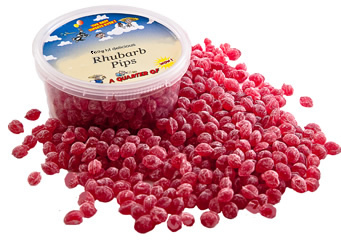 Imagine a tub of our scrumptious strawberry pips... but with a twist. 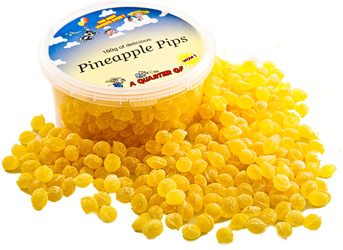 All of the pips are the s... More..
Paradise Pineapple Pips When we tasted the Best Pineapple Chunks You Have Ever Tasted... Or Your Money Back we just knew that we had to shrink all of their fruity deliciousness into pip format... and so we did! Such a rich, pineappley flavour... ... More..
A Victorian Jar - Fruit Pip Mix - A beautifully elegant Victorian-style jar filled with our exclusive range of fruity pips.... we've had some of our favourite traditional sweets enhanced and remastered, and the results are stunning. 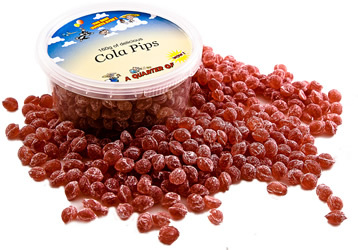 And remember....... More..
Classic Cola Pips - what can you say about such an iconic sweet? 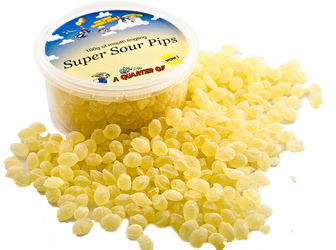 We've stocked cola pips since the very early days of www.AQuarterOf.co.uk back in 2002 and they have always proved extremely popular. But we've never been happy. 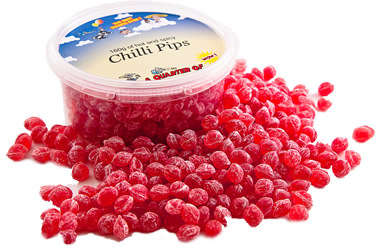 We've always sold ... More..
Chilli Pips - tiny heat explosions to tingle your tastebuds! We`ve never seen Chilli Pips before and that just seemed daft. If ever a flavour was made for a little tiny pip, Chilli has to be the one. And so, being chilli lovers ourselves (with t... More..
A Victorian Jar - The Best Boiled Sweets Yoursquo;ve Ever Tasted - A beautifully elegant Victorian-style jar filled with our exclusive THE BEST YOU'VE EVER TASTED range of boiled sweets.... we've had some of our favourite traditional sweets enhanced... More.. 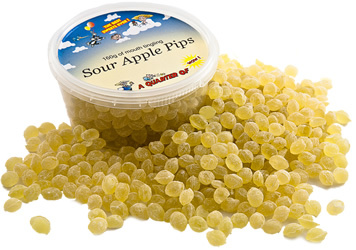 Mouth Wateringly Sour Pips Remember the Opal Fruits advert (we refuse to even recognise the name St*rburst... why oh why did those pesky meddling manufacturers do that?) that proclaimed that they were `made to make your mouth water`? 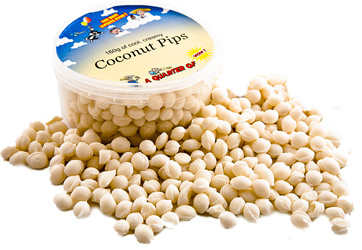 Well that`s ... More..
Creamy Coconut Pips These are just wonderful. They are intensely coconutty and oh so creamy too. Just a single pip fills your mouth with a delicious tropical smooth taste of cool coconut. But it is impossible just to have one... these pips are ... More..
Cox`s Apple Pips - when we gave our master sweetmaker the brief to create our own, exclusive Apple Pips, one of the things we told him probably sounds a bit odd... given that we`re a sweetshop... and that was `Don`t Make The Apple Pips Too Sweet!` ... More..
Rhubarb Pips - Deliciously fruity, zingy droplets of rhubarb deliciousness. We`ve taken a true retro sweet classic that we haven`t seen for yonks, sprinkled it with A Quarter Of magic dust and we`ve brought it back... even better than ever. OK - w... More..